Arabic as the language and script of the Qur'an has a strong sacred aspect. 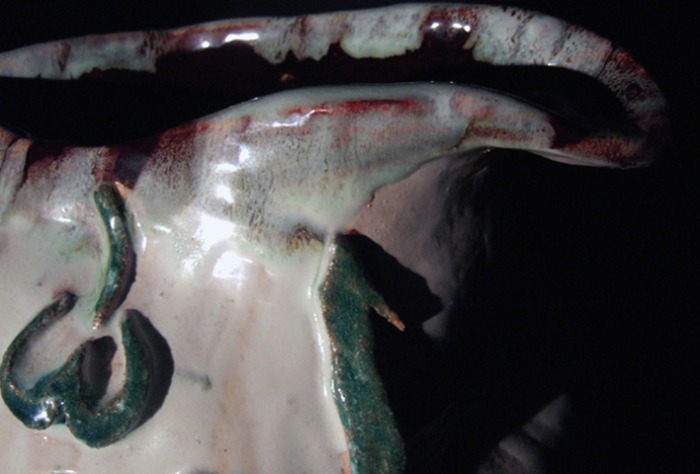 It has become one of the most beautiful scripts in the world and continues to inspire many artists today. From single words to complete versus, extracts from the Qur'an can often be seen used by many artists in the Middle East in all manner of forms and on a variety of materials. 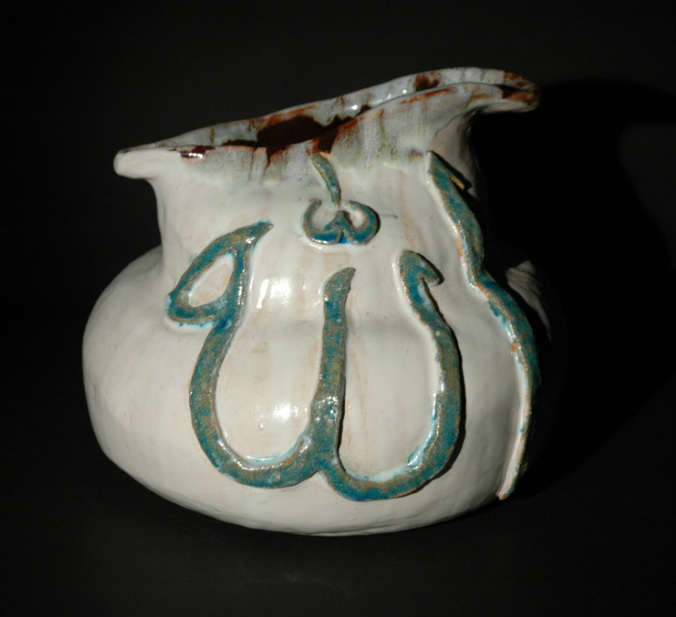 This organic ceramic piece is embellished with the word 'Allah' in naskh script. 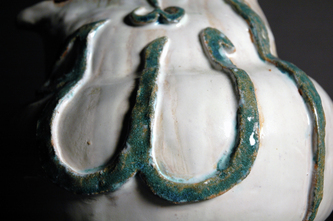 The lettering is finished with a turquoise glaze, a colour commonly found in Islamic art and architecture.